Battery technology has changed tremendously in just the past few years. 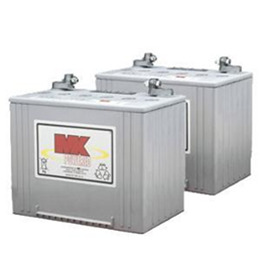 In fact, size-for-size, MK's advanced gel/sealed batteries deliver more power and more consistent performance than other types and brands of mobility batteries. Better still, and contrary to popular belief, MK's performance proven gel/sealed designs: Last longer than comparable wet lead/acid and marine batteries.